Every home with kids should be stocked with some supplies that allow kids to be creative. Here are the top 5 craft supplies for kids that you should never be without. 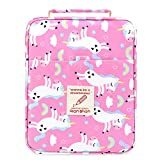 Any home with kids should have a constant inventory of kid's craft supplies so hat kids can create something using their imagination. Creating an original work is great for a rainy day, a cold winter night, or any time that a kids just needs something different to do. Here are the top 4 craft supplies for kids that you should never be without. 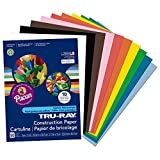 Construction paper is a staple in any supply list because it is so versatile and, with so many colors, it is lots of fun too. Any kids can have fun with a few sheets of construction paper, a scissors, and some glue or tape. With these basic supplies a kid's imagination will run wild as they create something really cool. 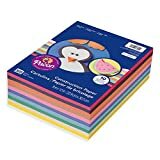 It's easy to find small sets of construction paper in nearly any store but the big huge set tht you find in a big box store or office store is even a better value, comes with lots of colors, and lasts a long time. Make construction paper your #1 craft supply to have on hand at all times. A reem of standard typing paper is also a great thing to have in the kit. It's a good idea to keep paper somewhere out of sight and just rotate in a small amount at any given time. Whether it's white typing paper or construction paper, it seems that if you leave the whole batch out that kids will use more than they need. Scissors are, of course, a mandatory asset when a kid is trying to make something. Any parent or grandparent stocking a craft kit should have at least one or two quality pair of kid-sized scissors. In addition to standard scissors, for kids the fun goes way up when you include some fun scissors. These scissors cut in various crafty designs instead of just straight. By adding a set of craft scissors you will increase the number of options a kid has to be creative exponentially. Let's face it, when a kid is working on crafts they use plenty of glue and tape to stick things together. When it comes to glue you can't beat good old-fashioned school glue in the squeeze bottle, but glue sticks are a nice option as well since they dry faster. For tape, just keep clear scotch tape on hand at all times and you will have it covered. Another option to fasten things together if you want to go beyond tape is a stapler and staples, as long as the kids are old enough to use them safely. Now that you have paper and you can cut it and attach it, the craft kit needs some color. The best way to do this is with colored pencils, crayons and markers. Crayons appeal to the younger kids, markers to everyone, and colored pencils are a favorite of older kids looking for more precision. 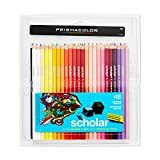 The great thing about all of these options is that you can get large sets for a great price, adding all sorts of color options for the creative kids. You can also find tremendous value in these items at back-to-school time, so pick up extras when you have the chance. You won't need any additional supplies with crayons or markers, but you will want a pencil sharpener for the colored pencils. Another good idea is to get a nice storage container for these items. A small plastic 3 drawer unit works great for holding loose pencils and crayons and it easy for kids to get in and out of. You could use pencile boxes too, or just save an old ice cream pail and use that so the kids can carry it by the handle to the craft table. A craft table and chairs made just for kids is possible the best of all. 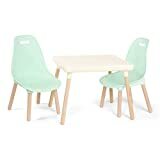 Made in a size that's just right for kids, these little craft table and chair sets are sturdy and easy to wash. What's more, you won't have to worry about marker on the kitchen table or floor. Just bring the craft supplies to the table, sit the kids in a chair, and let them work on their creation. A little craft nook in the house with a nice little table and chairs will be a favorite of any kids who likes to work on a project. 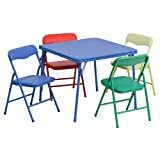 With paper, scissors, glue and tape, colors, pencils, marker, and a table and chairs, you are ready to turn the kids loose. These are the top 5 craft supplies for kids that should be in your home.